As one on the Phoenix area's best golf facilities, WeKoPa Golf Club offers golfers two phenomenal courses to enjoy, the Cholla Course and the Saguaro Course. When WeKoPa began the marketing process for their top notch facility, they selected Cybergolf, the industry leader in online golf marketing to take the helm. As lead designer on the project, I was responsible for guiding the client through the design phase while taking a lead role in information architecture and graphic user interface design. 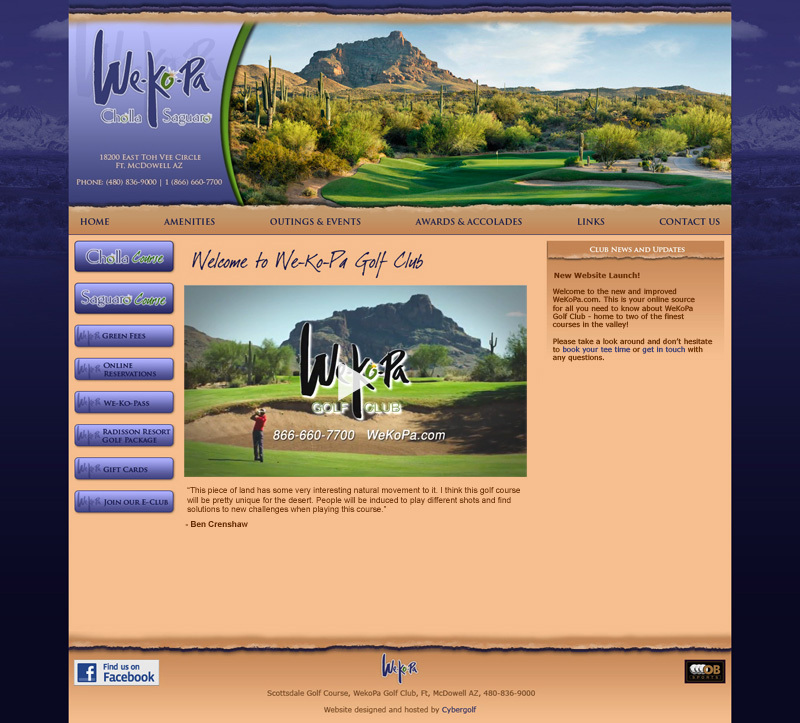 Upon approval by WeKoPa Golf Club, the site was constructed within Cybergolf's proprietary CMS.